Nick Ottens created The Gatehouse and the Gatehouse Gazette, one of the first and only magazines devoted to dieselpunk and steampunk, in 2008. The Gatehouse became Never Was in 2018. Nick also blogs at Atlantic Sentinel. After the “Ottensian” Sky Captain and the World of Tomorrow (2004), maybe we will soon have a real “Piecraftian” dieselpunk movie as well. What should steampunks do if their art or fiction or role-playing hurts others? Stop and abandon something that’s been part of the steampunk culture for years? Or ignore the feelings of others and have “fun”? It’s a relevant question because the Victorian era had a lot of problems, several of which have found their way into steampunk even if we’re not always aware of it. Where Are the Steampunk Republicans? Something I noticed reading the Twitter feeds of a number of American steampunk enthusiasts: they’re all anti-Republican. I hesitate to say they’re Democrats, because the party might be too centrist for them. The number of disparaging tweets about conservatives in general, and Republican legislators and presidential candidates in particular, was high, though. Dieselpunk fans will be familiar with the Iron Sky project. The independent film production will depict the Nazis plotting an invasion of Earth from their secret refuge on the Moon. 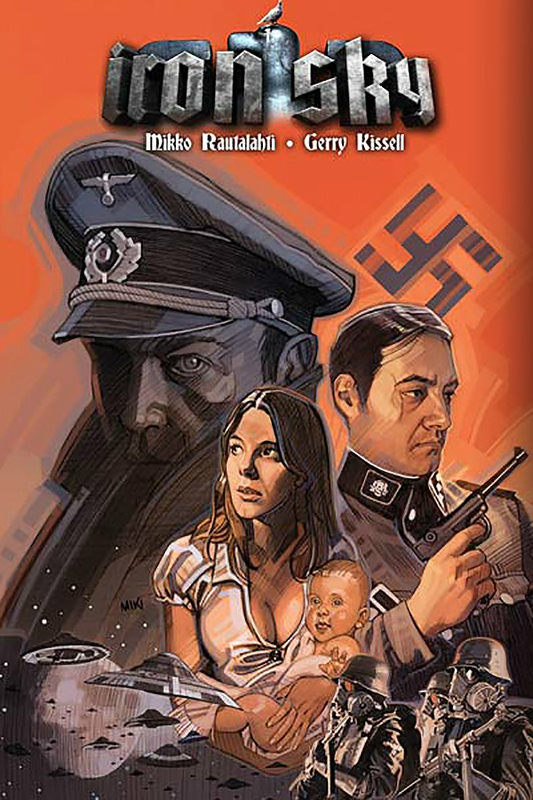 In anticipation of the film’s release, Iron Sky is releasing a prequel comic adventure. The first issue, “Bad Moon Rising,” depicts the Third Reich’s survivors in Antarctica preparing to board UFOs bound for the Moon. They will build a base on the far side of the Moon to stage another attempt at conquering the planet. Are We Punks Through and Through? Writing for Tor.com‘s steampunk week, Vazquez tries to postulate steampunk as an anticapitalist “revolutionary spectacle” that’s able to fill the “something” that’s supposedly missing from our worldview today.